Some lawmakers are pushing a discredited narrative in the wake of the attack on Charlie Hebdo, which had, in November 2011, published cartoons depicting the Prophet Muhammad. Sen. Lindsey Graham (R-SC), one of the intelligence community's strongest allies on Capitol Hill, weighed in on the day of the attack. "Here at home, we must use this horrific attack as an opportunity to reevaluate our own national security posture. I fear our intelligence capabilities, those designed to prevent such an attack from taking place on our shores, are quickly eroding," Graham said in a press release. "I believe our national security infrastructure designed to prevent these types of attacks from occurring is under siege." Talking to reporters about the possibility of NSA reform in the wake of the Paris attack, Sen. Bob Corker (R-TN) said, "To me, Congress having oversight certainly is important, but what is more important relative to these types of events is ensuring we don't overly hamstring the NSA's ability to collect this kind of information in advance and keep these kinds of activities from occurring." The NSA's apologists have long said that the bulk phone metadata collection program is essential to counterterrorism efforts, without which the United States could be hit inside the homeland, once again. Shortly after the spying programs became public knowledge, intelligence officials claimed that more than 50 terrorist plots had been prevented because of information obtained through the collected data. President Barack Obama defended the program, repeating the line from the intelligence community, telling reporters at June 2013 press conference that "lives have been saved." Those claims, however, have been thoroughly debunked. During an October 2013 Senate Judiciary Committee hearing, then-Chairman Patrick Leahy (D-VT) grilled then-NSA Director Keith Alexander about the veracity of the administration's rhetoric. "Would you agree that the 54 cases that keep getting cited [by the administration and the intelligence community] were not all plots and of the 54 only 13 had some nexus to the U.S? Would you agree with that, yes or no?" Leahy asked. Alexander, who had himself repeated the erroneous claim, replied, "Yes." The White House Review Group on Intelligence and Communications Technology, the five-member group authorized by President Obama, also discredit the claims in its December 2013 report, Liberty and Security in a Changing World. 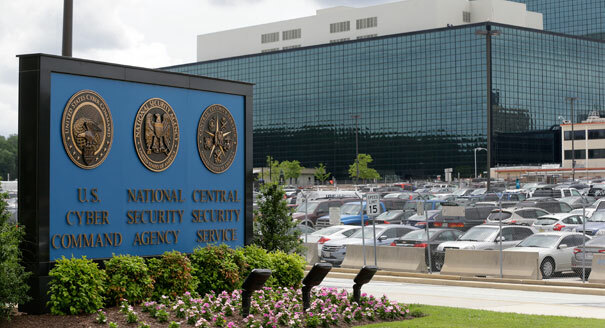 "NSA believes that on at least a few occasions, information derived from the section 215 bulk telephony metadata program has contributed to its efforts to prevent possible terrorist attacks, either in the United States or somewhere else in the world," the report stated. "Our review suggests that the information contributed to terrorist investigations by the use of section 215 telephony metadata was not essential to preventing attacks and could readily have been obtained in a timely manner using conventional section 215 orders." Members of the panel went even further in interviews with the media. Geoffrey Stone, a University of Chicago law professor, told NBC News that that the NSA's metadata collection program had not stopped any terrorist attacks. Another panel member, Richard Clarke, a counterterrorism official in both the Clinton and Bush administrations, rebutted the notion that the program could have prevented 9/11, as NSA apologists had also suggested. Reforming the NSA doesn't mean that the intelligence community would no longer have the tools necessary to obtain information from terrorist suspects inside the United States. It simply means that they have to go to a court, make a case, and obtain a warrant in a manner consistent with the Fourth Amendment before they begin collecting and analyzing metadata. Despite the misinformation from the intelligence community and lawmakers far too amenable to the NSA, there’s nothing particularly taxing about a concept that follows the Constitution.